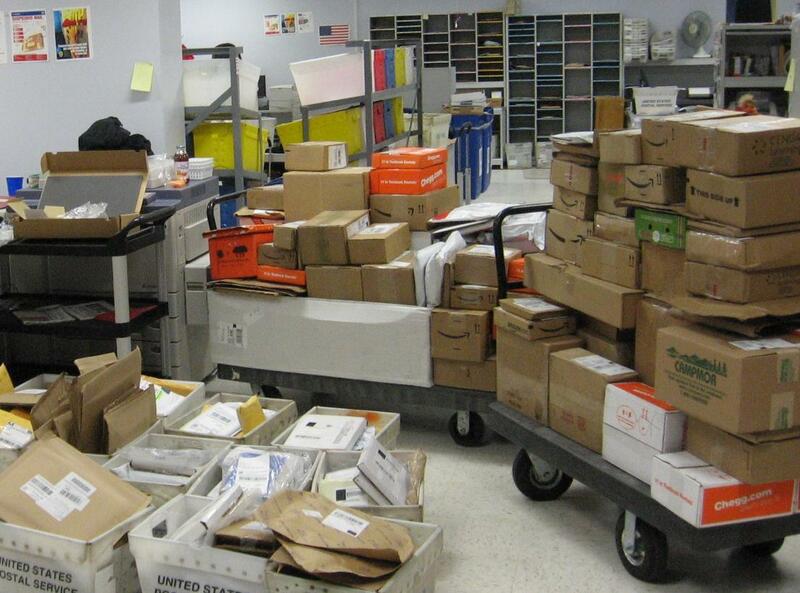 Campus Mail Services is a vital function of the State University of New York College at Geneseo. Its mission is to process mail for all undergraduate students and administrative departments. Following are the core services offered by Campus Mail Services. Sort and deliver all incoming mail; pick-up, meter and send out all college related outgoing mail; and facilitate the outgoing shipment of college related packages. Sort all incoming mail and put in assigned mailboxes located in the College Union; receive, assign and notify recipients of incoming packages to be picked up; and facilitate the outgoing shipment of outgoing stamped mail and packages. Mail Services would like to remind the campus community that all faculty, staff, and on-campus students should not accept receipt or delivery of any mail or packages that haven't been pre-screened by Mail Services or Central Receiving staff, especially unexpected packages or mail from unrecognized senders. Mail Services staff are trained in mail security are adept in handling and receiving all varieties of mail. Please contact Mail Services at ext. 5691 should you have any questions regarding received mail. Monday - Friday, 8:30 a.m. to 4:00 p.m.
Monday - Friday, 8:30 a.m. to 4:00 p.m .
All questions regarding Campus Mail Services can be directed to: mailroom@geneseo.edu.